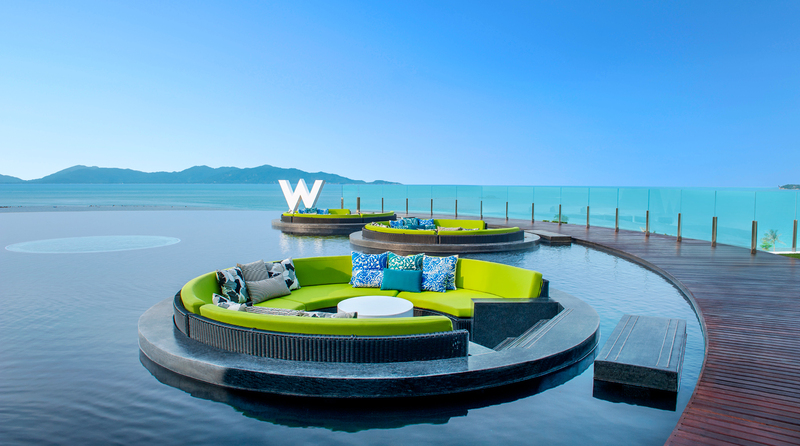 Situated on a tropical Thai island in the middle of the Gulf of Thailand, overlooking stunning beaches and lush forests, W Koh Samui awakens as the sun goes down, igniting the unexpected. Surrounded by verdant foliage, each of our 74 villas boasts a private outdoor pool and infinite island views. Inside, premiere technology meets signature W pillow top beds, Bliss Spa amenities and Whatever/Whenever service. Ultra chic and cutting-edge design is awaiting you, just as the stunning sea views of the most pristine beach location to be found in Thailand. Tranquil by day. Electric by night. Start the day with a workout at FIT or dip at WET before unwinding with a local therapy at AWAY Spa. Then, light up the evening with signature cocktails at WOOBAR and dinner at our on-site restaurants Namu and The Kitchen Table.